Dont they have it made, free meals, free medical, free housing all made possible with the hard earned cash from our pockets." Too many people are ignorant to the fact that todays industrial world is based on profits and greed has run amuck trying to generate new ideas on how to squeeze profits from of a stone. Human rights organizations, as well as political and social ones, are condemning what they are calling a new form of inhumane exploitation in the United States, where they say a prison population of up to 2 million  mostly Black and Hispanic  are working for various industries for a pittance. For the tycoons who have invested in the prison industry, it has been like finding a pot of gold. They dont have to worry about strikes or paying unemployment insurance, vacations or comp time. All of their workers are full-time, and never arrive late or are absent because of family problems; moreover, if they dont like the pay of 25 cents an hour and refuse to work, they are locked up in isolation cells. There are approximately 2 million inmates in state, federal and private prisons throughout the country. According to California Prison Focus, no other society in human history has imprisoned so many of its own citizens. The figures show that the United States has locked up more people than any other country: a half million more than China, which has a population five times greater than the U.S. Statistics reveal that the United States holds 25% of the worlds prison population, but only 5% of the worlds people. From less than 300,000 inmates in 1972, the jail population grew to 2 million by the year 2000. In 1990 it was one million. Ten years ago there were only five private prisons in the country, with a population of 2,000 inmates; now, there are 100, with 62,000 inmates. It is expected that by the coming decade, the number will hit 360,000, according to reports. Profiting from another person's misery has been around, since the beginning of civilizations. But isn't it about time, we stop this practice and start respecting one another? Alas, It will never happen! 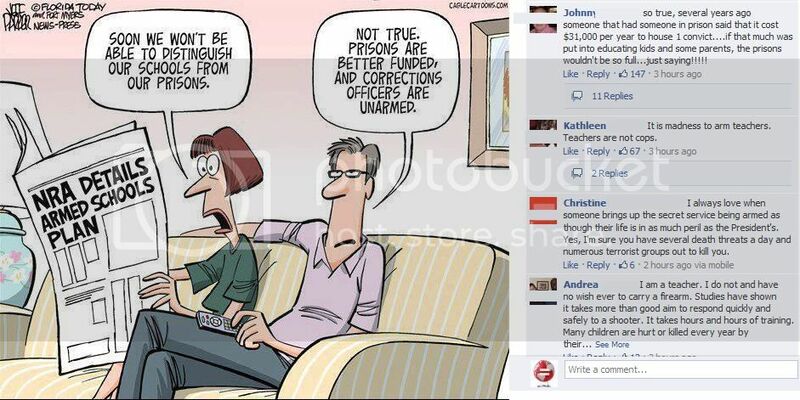 Never, as long as people can rationalize that it's nothing but Business as Usual. I don't have much hope for our human race, not at the moment when I see how those who represent and lead us, work against benevolence, respect and generosity because they believe GREED is the only master we should worship. On Tuesday, the ACLU of Ohio released a timeline tracing the decline of the countrys first privately- owned prison. Ohio Governor John Kasich first proposed privatizing prisons in March of 2011 as a way to climb out of an $8 billion budget deficit. The Ohio Department of Rehabilitation and Correction boasted $3 million in savings for Ohio taxpayers compared to similar state facilities. However, since being purchased for $72.7 million from the Corrections Corporation of America (CCA), the largest private prison corporation in the United States, the prison has racked up countless violations. In an audit last October, the CCA was slapped with 47 violations including having smaller-than-state standard housing units: all housing units prove less than the requirement of 25 feet of unencumbered space per occupant. Later that same year, the CCA failed yet another inspection. And now, according to Think Progress, the CCAs Lake Erie prison is reportedly overcrowded at 130% capacity, with single-person cells holding 3 inmates each, according to internal documents obtained by the ACLU. Since the U.S. leads the world in incarcerations with 2.2 million Americans behind bars, it is no surprise that state budgets are being overwhelmed by prison costs. But instead of trying to legislate prison reform, Gov. Kasich decided to delegate responsibility to private systems that have an incentive to find ways to keep profits up. The CCA is not shy about its goals, stating in the companys 2010 Annual Report: We believe we have been successful in increasing the number of residents in our care and continue to pursue a number of initiatives intended to further increase our occupancy and revenue. DID THEY REALLY SAY THAT? The ACLUs report on the failings of CCAs Lake Erie Prison highlights the need for an overhaul in the prison system, not privatization of it. And there are ways. Last month, Senators Rand Paul of Kentucky, a Republican, and Patrick Leahy of Vermont, a Democrat, introduced the Justice Safety Valve Act, a bill that would begin to alleviate the problem of overcrowded prisons by altering mandatory minimum sentences for non-violent drug offenses. Has Slavery Really Ended: A sad tale regarding a slave auction. In early March 1859 an enormous slave action took place at the Race Course three miles outside Savannah, Georgia. 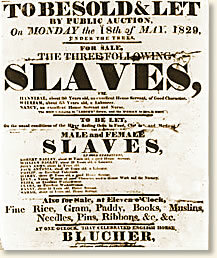 Four hundred thirty-six slaves were to be put on the auction block including men, women, children and infants. Word of the sale had spread through the South for weeks, drawing potential buyers from North and South Carolina, Virginia, Georgia, Alabama and Louisiana. All of Savannah's available hotel rooms and any other lodging spaces were quickly appropriated by the influx of visitors. In the days running up to the auction, daily excursions were made from the city to the Race Course to inspect, evaluate and determine an appropriate bid for the human merchandise on display. The sale's magnitude was the result of the break-up of an old family estate that included two plantations. The majority of the slaves had never been sold before. Most had spent their entire lives on one of the two plantations included in the sale. The rules of the auction stipulated that the slaves would be sold as "families" - defined as a husband and wife and any offspring. However, there was no guarantee that this rule would be adhered to in all cases. The sale gained such renown that it attracted the attention of Horace Greeley, Editor of the New York Tribune, one of America's most influential newspapers at the time. Greeley was an abolitionist and staunchly opposed to slavery. He sent a reporter to cover the auction in order to reveal to his readers the barbarity inherent in one human being's ability to own and sell another. "The slaves remained at the race-course, some of them for more than a week and all of them for four days before the sale. They were brought in thus early that buyers who desired to inspect them might enjoy that privilege, although none of them were sold at private sale. For these preliminary days their shed was constantly visited by speculators. The negroes were examined with as little consideration as if they had been brutes indeed; the buyers pulling their mouths open to see their teeth, pinching their limbs to find how muscular they were, walking them up and down to detect any signs of lameness, making them stoop and bend in different ways that they might be certain there was no concealed rupture or wound; and in addition to all this treatment, asking them scores of questions relative to their qualifications and accomplishments. 'Elisha,' chattel No. 5 in the catalogue, had taken a fancy to a benevolent looking middle-aged gentleman, who was inspecting the stock, and thus used his powers of persuasion to induce the benevolent man to purchase him, with his wife, boy and girl, Molly, Israel and Sevanda, chattels Nos. 6, 7 and 8. The earnestness with which the poor fellow pressed his suit, knowing, as he did, that perhaps the happiness of his whole life depended on his success, was interesting, and the arguments he used were most pathetic. He made no appeal to the feelings of the buyer; he rested no hope on his charity and kindness, but only strove to show how well worth his dollars were the bone and blood he was entreating him to buy. Molly advances, with her hands crossed on her bosom, and makes a quick short curtsy, and stands mute, looking appealingly in the benevolent man's face. But Elisha talks all the faster. Then, pointing to the three-year-old girl who stood with her chubby hand to her mouth, holding on to her mother's dress, and uncertain what to make of the strange scene. 'Little Vardy's on'y a chile yet; make prime gal by-and-by. Better buy us mas'r, we'm fus' rate bargain" - and so on. But the benevolent gentleman found where he could drive a closer bargain, and so bought somebody else..."